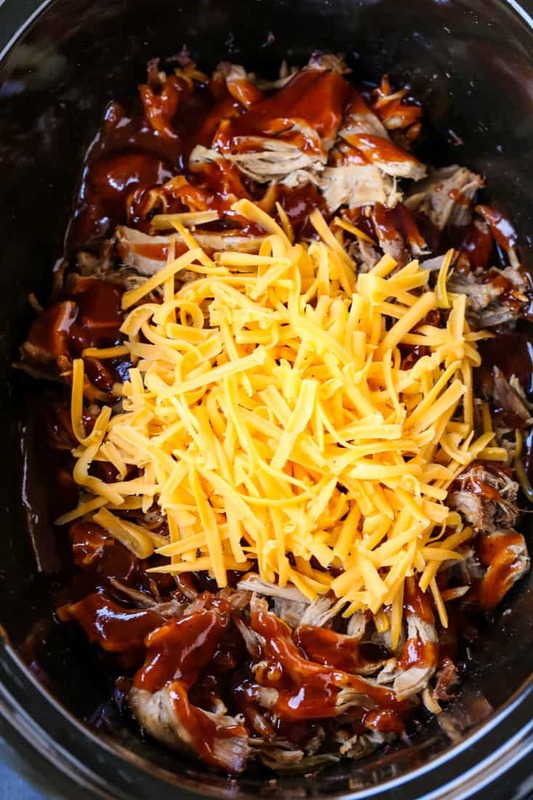 This Cheesy BBQ Pulled Pork Recipe takes pulled pork to another level of flavor! This slow cooker pulled pork couldn’t be easier, or more delicious! If you’re looking for more recipes to feed a crows, try our Grandma’s Sunday Meatballs and Sauce or our Crock Pot Sausage and Peppers! Pulled pork is pretty delicious all on it’s own. But when you stir in a few cups of sharp cheddar cheese it becomes – well, amazing. 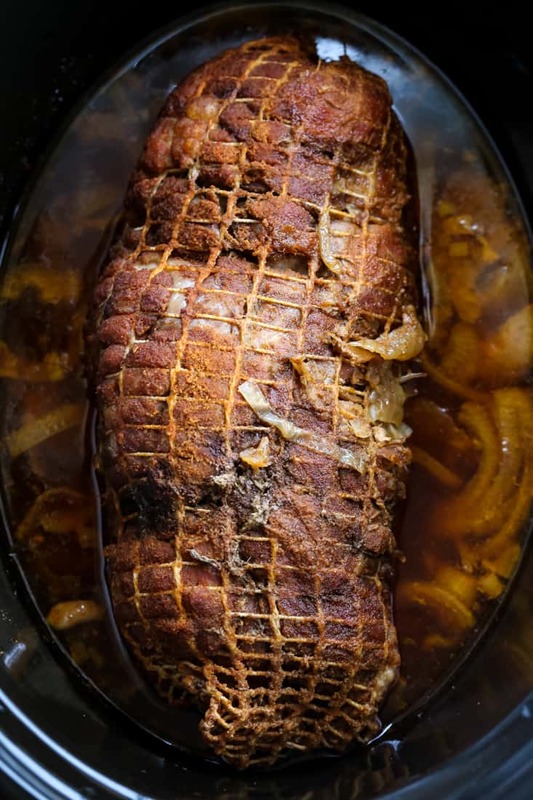 Make this crock pot pork roast and everyone will be asking you for the recipe! Not only is it crazy good, as we’ve mentioned, but it’s really simple to make and feeds a crowd. So dinner with leftovers, check. Dinner for a party, check. Meal prepping for the week, check. 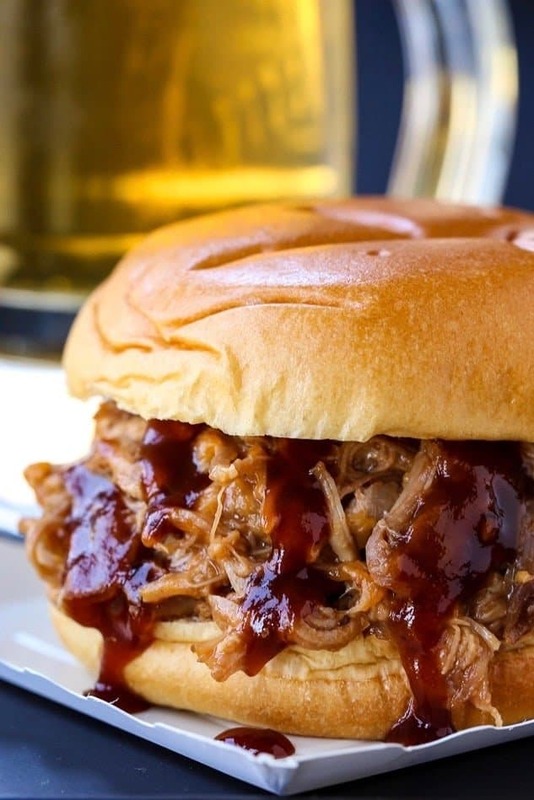 This Cheesy BBQ Pulled Pork Recipe covers all bases. You can go the oven route or the slow cooker route, this pulled pork recipe is using the slow cooker route. 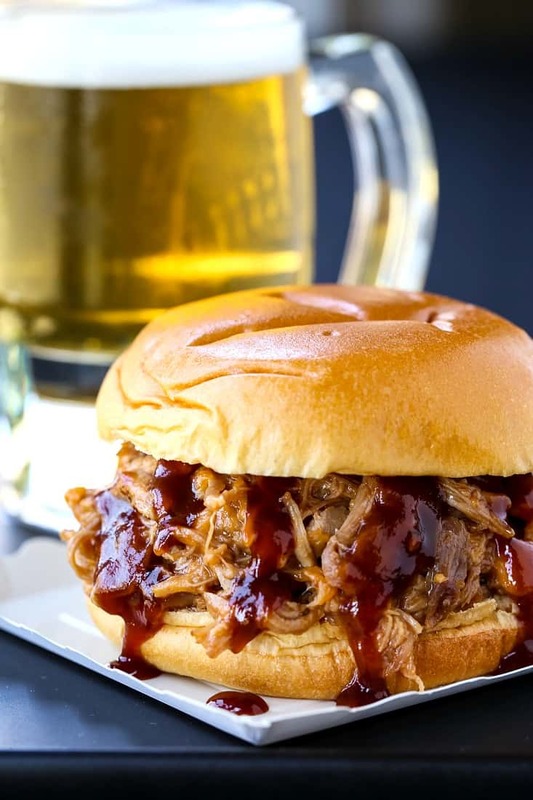 Using your slow cooker or crock pot to make pulled pork is one of the easiest ways to do it. Just add a pork roast to your slow cooker with a dry rub and onions. Turn it on and walk away. Different slow cookers definitely cook at different temperatures, or so I have found. 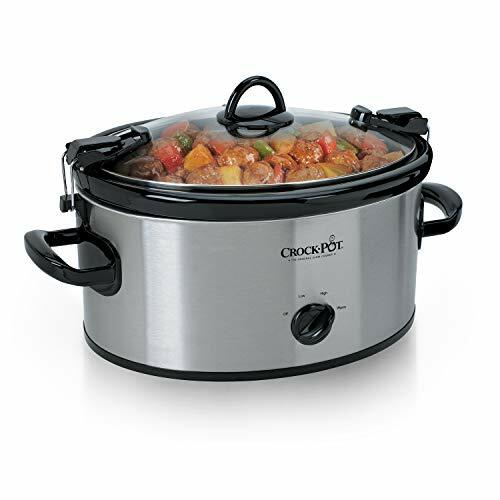 The “low” setting on one slow cooker doesn’t always equal the temperature of a “low” setting on another slow cooker. So for a five pound pork roast I say to cook it between 6-8 hours. Checking at 6 to see if it’s shreddable or fork tender, then letting it cook longer if it needs to. Once the pork roast is tender, remove it from the slow cooker and set it on a board to cool. Drain the juices from your slow cooker, but save them in a bowl for now. Shred the pork roast using two forks or just your hands if it’s cooled down enough and return the pork back to the slow cooker. 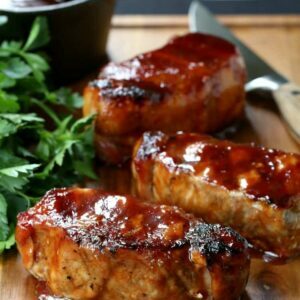 Add about 1 cup of the onions and juices to the pork along with your favorite BBQ sauce – and then – the cheese. You’ll want to add the cheese in while it’s still warm so that it melts into the pork and BBQ sauce. If it’s not quite hot enough, put the lid back on and turn the slow cooker on high for another 15 minutes. Obviously on buns, yes. That’s the most common way to serve pulled pork and for good reason, it’s delicious. But there’s so many other ways to use this Cheesy BBQ Pulled Pork too! There’s not one of those options that we haven’t tried. And loved. 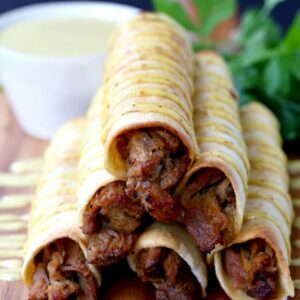 This pulled pork recipe is perfect for serving at parties because it’s a make ahead recipe and your guests can even serve themselves! Set out a plate of buns on the side, maybe a bowl of coleslaw and you’re good to go. 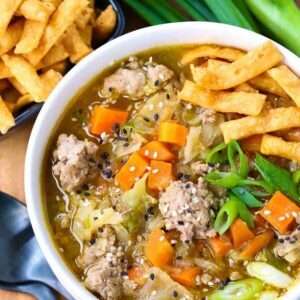 Like I said before, we’ve also make this recipe for Sunday dinner so that we have leftovers during the busy weeknights of school and sports activities. Also a great thing when your kids can feed themselves, too. This delicious, cheesy pulled pork is our favorite! 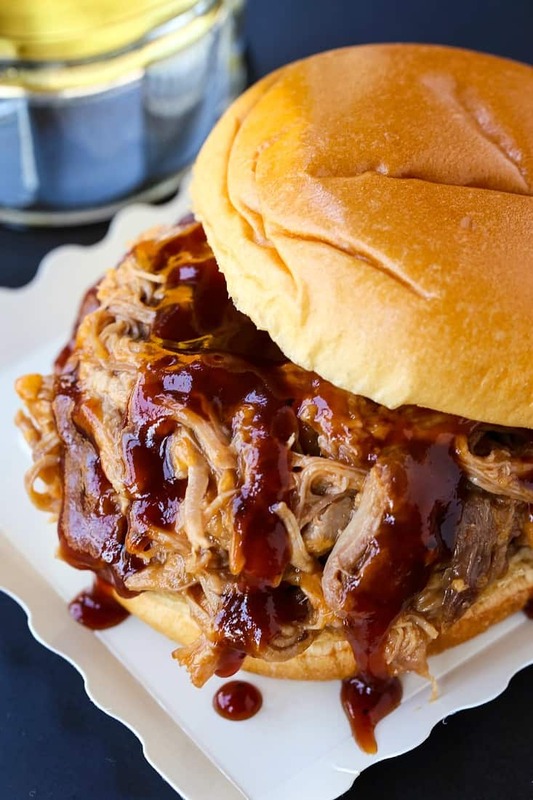 Slow cooker pulled pork with your favorite BBQ sauce and lots of cheesy goodness! Place the onions on the bottom of your slow cooker. Combine the dry rub ingredients together in a small bowl, whisking together to combine. Rub the spice mixture all over the pork roast, you might not use it all but add it generously to all sides. Place the pork roast on top of the onions, then pour in the pineapple juice. Cook on low for 6-8 hours until the pork roast is fork tender and shreddable. Remove the pork from the slow cooker to a board then pour the juices into a large bowl. 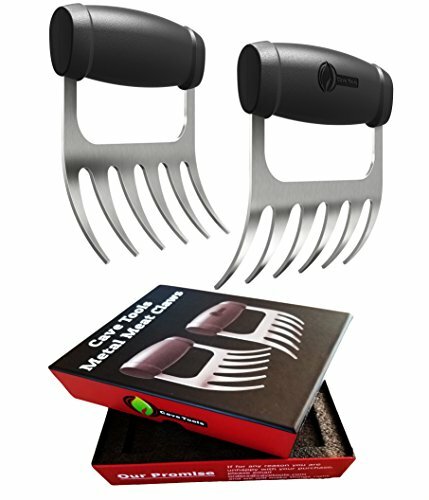 Let the roast cool slightly, then shred using two forks, meat claws or your hands. Return the shredded pork to the slow cooker with 1 cup of the reserved onions and juice from cooking. Add the cheese and bbq sauce to the pork and stir to combine. If the cheese is not melting into the pork, cover the slow cooker and set on high for 15 minutes. Stir again and serve. This pulled pork can be made ahead of time and reheated on low in your slow cooker or in the oven, covered at 350 until warm.